I can’t believe it’s already Halloween week! We have one last Halloween idea to share today – hope you like it! I’ve seen a few moms on FB stressing over Halloween class parties coming up this week. 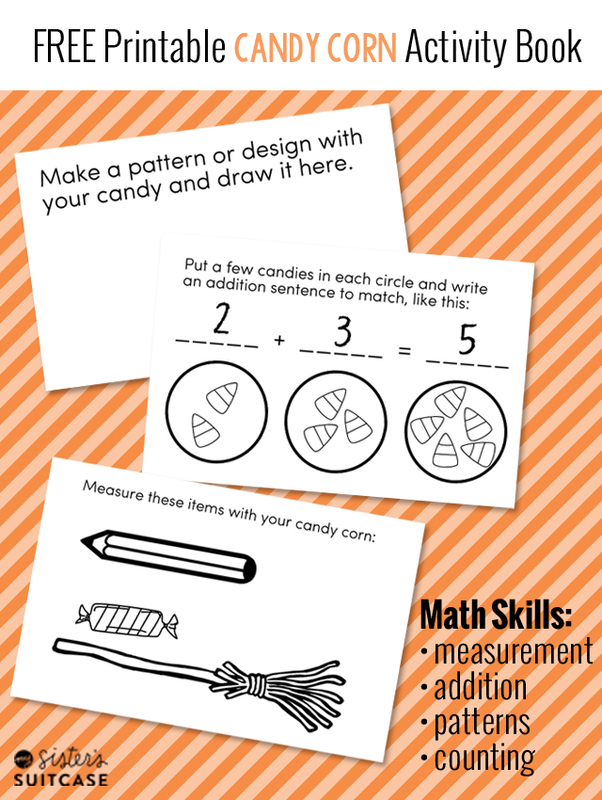 So I’m excited to share an idea that is fun AND educational that you can use at school OR at home with the kiddos! 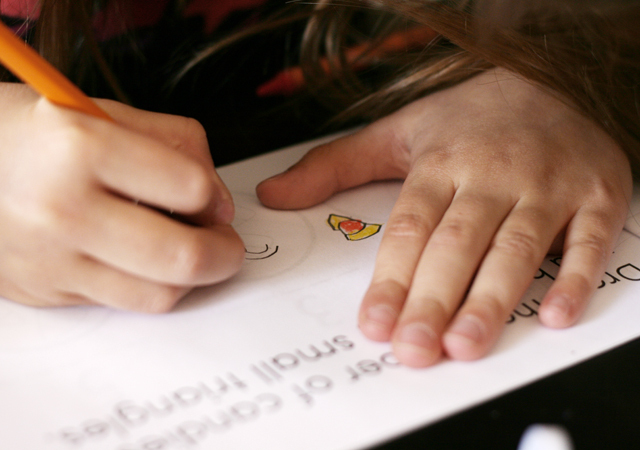 This little activity booklet is all ready to print, cut and staple together. 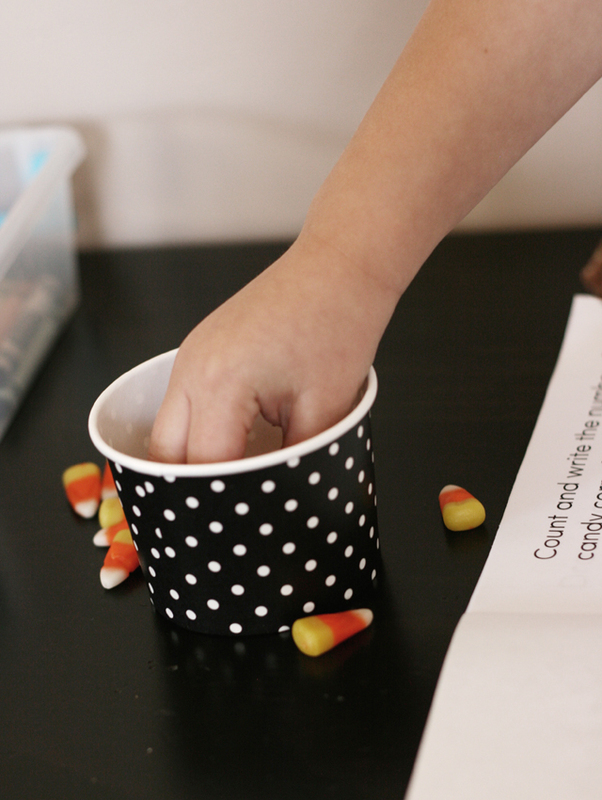 Just bring some candy corn (I like to put it in snack-size Ziploc bags) and you’re good to go! The math skills in the book are geared towards grades K-2, but my preschooler had fun doing most of the pages too, with my help. Miss Kindergartner was ALL over it! I would suggest giving out around 10-15 candy corns per kid so that it’s not too many to handle for the activities. measurement, simple addition sentences, counting, patterning and drawing. Grab your printable booklet by clicking below! It’s a 5-page PDF and you just need to cut in half to assemble. 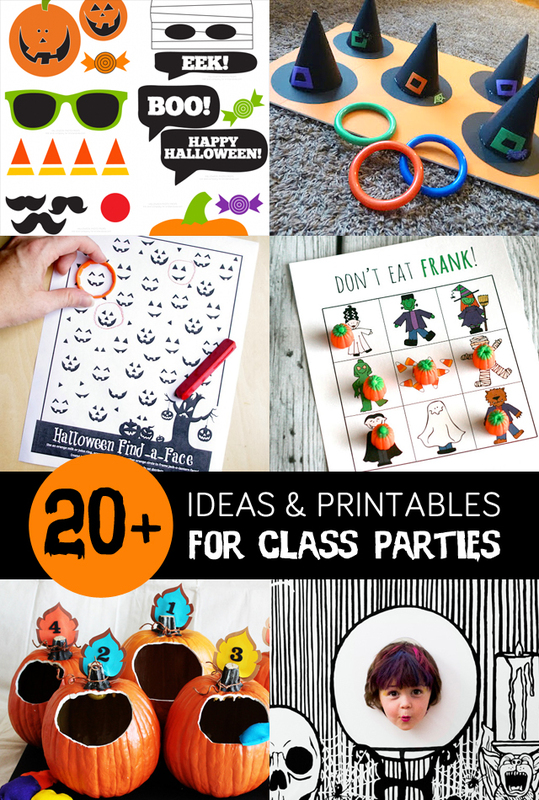 For LOTS more ideas, check out this roundup of Halloween Class Party ideas & printables! Thanks, I love the candy corn idea. I think I am going to do it for my special children for Halloween. Love the idea. Will put corn in zip bag with a corn printable. The link for this cute book is broken! any chance you can email it to me????? 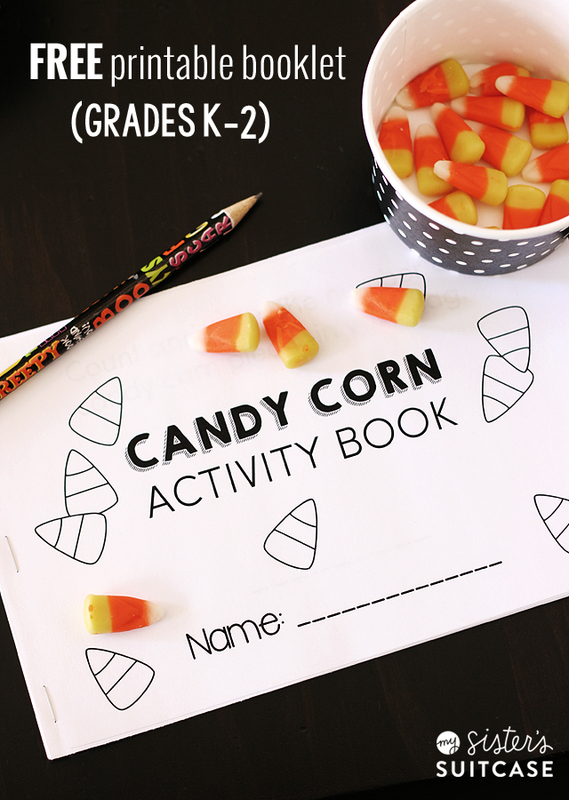 Where do I find the free Candy Corn Acivity book? 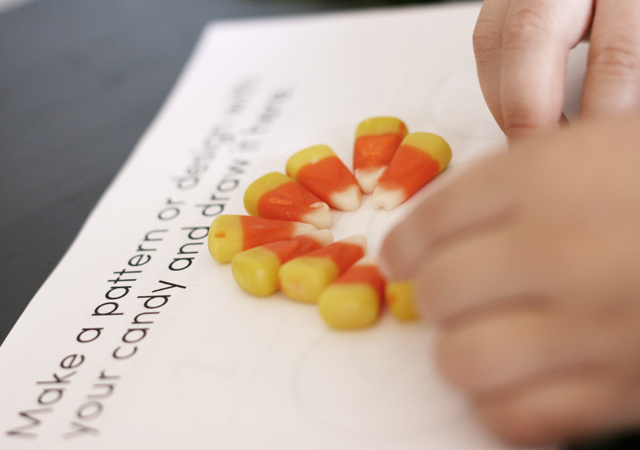 I really want to use the Candy Corn Activity booklet but the link is broken. 🙁 Any chance you could get that to me in the next week? Hi there! Id love to be able to use this activity book, but the link to download takes me to another page, rather than the printable activity book. Could you fix the link? Or send it to me? Thanks!! The link to download the candy corn booklet is not working. Would really love to print this for my kiddos. What a great booklet. This would be perfect for the Kinder Fall party I am planning. Is this file still available free? When I click the link it goes to another unrelated Blog post. Thanks! Email sent! Thanks for letting us know! The link has been fixed! I apologize for that! This activity is darling! I’d love to use it for my preschoolers, but the link does not connect to the printable. It links to a black and white themed Halloween party. Is it possible to correct this or send me the proper link? Thank you! I’m so sorry about the broken link! It is fixed now and I have e-mailed everyone that has commented previously! Thanks for your patience!